These fun twists are soft on the inside but have a delicious dark crust on the outside. Legend says that the dark soft pretzels we know and love today came about by an accident in the kitchen, when they were brushed with a lye solution before baking. The end result was so delicious, it became the norm. 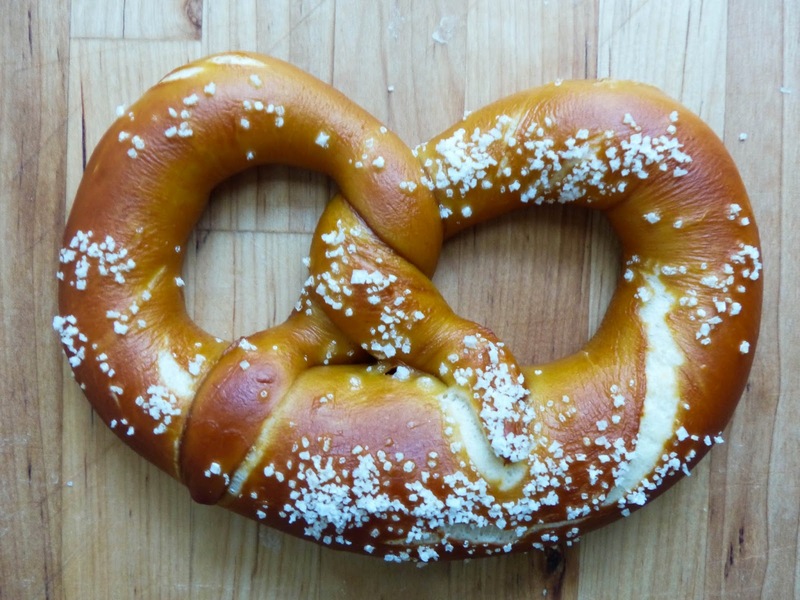 This recipe is the same used for the French Laundry's pretzel bâtards, but shaped in the traditional loops and twist. The lye solution and dip is initially intimidating, but absolutely essential for the authentic pretzel taste. They won't last long, which is great, because they're best eaten right away. Leftovers will not be a problem with this recipe! 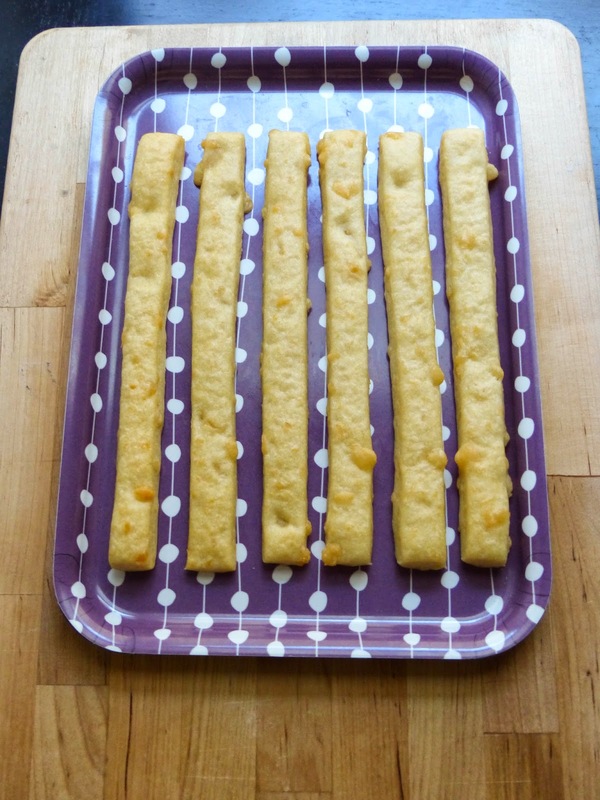 These super tasty breadsticks are a gourmet take on another childhood favorite, Cheez-It crackers. Garlic oil and comté cheese make these more refined, but equally delicious. The essence of the cracker shines through, without any of the artificial colors and flavors. These would be lovely served with salami and a cheese platter at a dinner party. They're sure to get gobbled up quickly! These flat rounds of bread are the perfect breakfast food. In fact, in England, where they're from, they're called breakfast muffins. 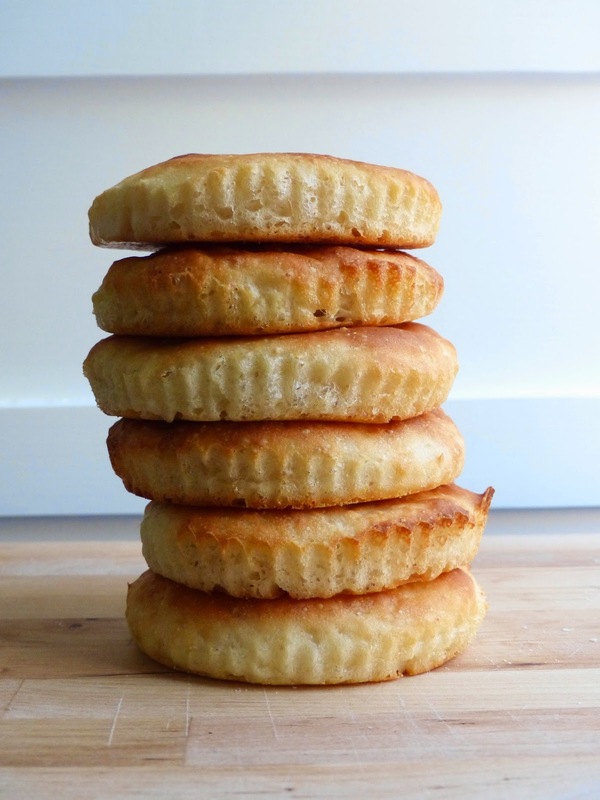 We only call them English muffins in the rest of the English speaking world to differentiate them from sweeter "American" muffins. These are most commonly eaten split and toasted, with a variety of toppings. Butter, jam, cream cheese, peanut butter, the list could go on and on. Not to mention the endless sandwich possibilities! But they're most often used as delivery vessels for eggs, either Eggs Benedict or as a McMuffin. 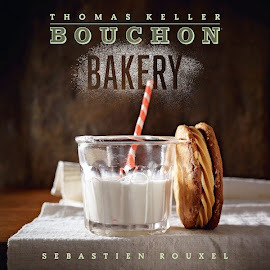 Bouchon's version is baked instead of cooked on a griddle. These homemade muffins would elevate any breakfast to a gourmet feast. This dough is meant solely for practicing shaping and scoring. It's just flour, salt and water, with a touch of yeast, and not meant to be baked or eaten. Kind of like playing with Play-Doh! It can be re-rolled multiple times to try new shapes and scoring designs. It's a great tool for novice bakers to practice shaping before working with "live" dough. I wish I had skipped ahead to this recipe before starting the bread chapter. It would have helped my confidence so much! That being said, it was still fun to play around with the dough. Practice makes perfect, or so they say. 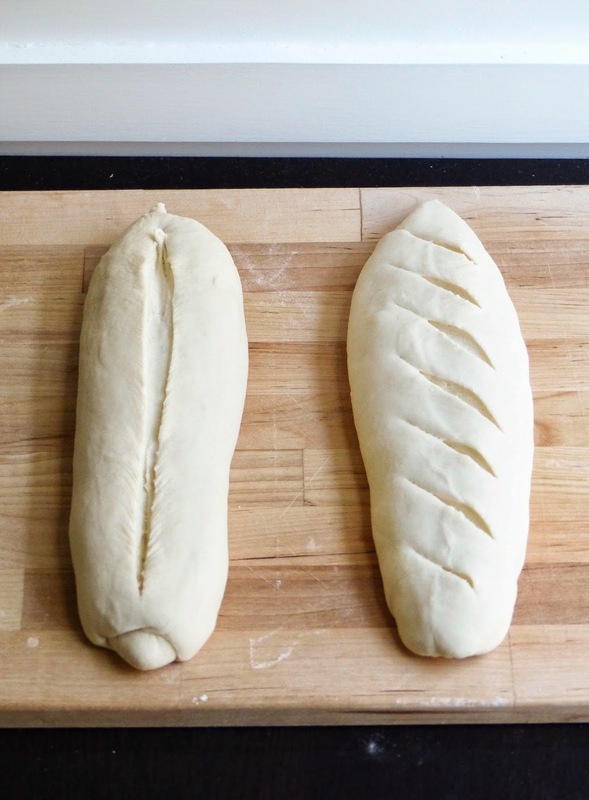 I divided the dough in two, and shaped each half into bâtards. I tried each scoring method, 6 in total. Five were on the bâtards and one on the boule. There's something therapeutic and fun about slashing through dough with a sharp blade. I used an Exacto knife, which worked well.